Immigration in the Sicily Canal, what will the scenario be if Mare Nostrum Project ends? Some of them survive, thousands die. Migrants are forced to leave their countries and to cross the Mediterranean Sea to leave war, death and famine. They come not only from North African countries but also from Mali, Ghana, Belize, Niger, Sudan, Syria and the Palestinian Territories and they look towards Europe to find a better life. The first landing points for the vast majority of these refugees is Italy, in particular Sicily. This is the reason why immigration in Italy is now one of the most important issues on the political agenda. Immigration in Sicily has become a crucial problem over the last months. As mass media underline, Sicily and its small islands, in particular Lampedusa, have to face daily migrants’ arrivals and some reception points are already on the brink of collapse. So far this year, more than 63,000 migrants arrived in Italy by sea according to the United Nations Refugee Agency (UNHCR), surpassing the previous record of around 62,000 set in 2011, the year of the “Arab Spring” uprisings. Many of these migrants have died trying flee wars and conflict and, among them, there have been numerous women and children. Since Mediterranean countries share common problems, a huge project has been created to face this challenge, the well know “Mare Nostrum Project”, that is a humanitarian and military operation started in October 2013 with the aim to tackle with this issue in the Sicily Canal. Italy is part of the Mare Nostrum Project. 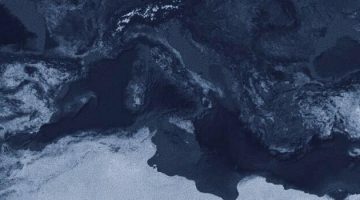 […] in later stages of the project, Mare Nostrum will put together a number of criteria for evaluating instruments and policies for the implementation of the Gap in Mediterranean Coastline Management […]. Over the last months many Mare Nostrum operations raised concerns and critics: Italy claimed that the other European Member States left the Italian government alone in managing several rescue operations in the Sicily Canal, and that this lack of cooperation led to tragic episodes, such as the 2013 Lampedusa migrant shipwreck. Furthermore, the European and Italian civil society is divided over the migration flows issue: is it right and fair to spend money for nourishing and sheltering the migrants and refugees when Italians are facing the economic crisis’ effects every day? That is the most debated question in Italy at the moment. “We no longer have a place to take them, and locals are overwhelmed by the constant arrival of foreigners” is the most common complain about new arrivals of refugees and asylum-seekers. Mare Nostrum is ending, so what will be the future scenario if Frontex ends? The new Frontex headquarters are in Warsaw, Poland, Rome and Brussels and information sources explain that since Frontex lacks a strong and coordinated rescue device, a new Frontex (maybe Frontex 2 or Plus) will be created. It should cover the economic and logistic gaps that Frontex had in order to face in a more efficient way the immigration issue which has become a serious humanitarian crisis. A meeting took place on Wednesday 27th August, in Brussels, Belgium. The Italian Minister for Interior Affairs Angelino Alfano and the EU Commissioner for Home Affairs Cecilia Malmström talked about the steps that need to be taken. Was the meeting positive for Italy? Considering that Italy has often asked for a stronger cooperation among EU member countries in the immigration issue, the answer is yes, since the EU has promised a more active and financially relevant role. After the meeting, Alfano declared: “Mare Nostrum will be replaced by Frontex Plus, which will merge and expand existing operations”. So Frontex Plus is going to substitute Mare Nostrum Project. In this cooperation framework the French Minister for Interior Affairs, Bernard Cazeneuve, stated that also France will be part of Frontex Plus operations. Furthermore, “human traffickers’ vessels will be destroyed so they can’t be reused”, Alfano added. “The European Commission will do its utmost to make sure that the whole European Union, all the Member States, will play an increased role in helping Italy to manage the migration issue in the Mediterranean”, Cecila Malmström declared. One thing is for sure: Italy cannot be the only actor involved in dealing with this emergency: there are some basic country-specific criteria that exist in the Mediterranean region that require a strong coordination among European States to manage migration flows, such as legally recognized and enforced public right-of-access to the coastal area, strong law-enforcement mechanisms, institutionalized coordination, and effective NGOs and civil groups. “The question of migrants in the Mediterranean is not a problem that Italy can face on its own,” a UN spokesperson said last June. There cannot just be a national response, an international one is needed. Mare Nostrum Project, First Interim Report: Existing Knowledge on Legal Institutional Frameworks for Coastline Management, 2013, p. 4. Anon., “Frontex plus to replace Mare Nostrum“, ANSA, August 27, 2014. European Commission, Statement by Commissioner Malmström after the meeting with Italian Interior Minister Alfano, Brussels, August 27th, 2014.